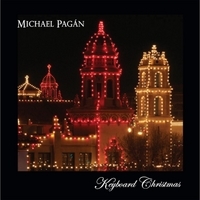 Pianist Michael Pagan is known as a prolific composer and arranger for small combos to big bands, and is currently Assistant Director of Jazz Studies at the University of Missouri in Kansas City. It is, however, his performance as a musician on Three for the Ages that stands out above his already impressive musical credentials. Adept at recording with big bands, and in a duet and solo formats, as well as small ensembles, Pagan's last trio recording was Tacitus Plus (Capri Records 2004). 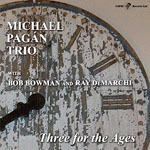 With Three for the Ages, Pagan returns to the standard piano/bass/drum context with bassist Bob Bowman and drummer Ray DeMarchitwo fixtures from the vibrant Kansas City jazz scene. Borrowing familiar standards from a distinguished group of composers like Irving Berlin, Gene de Paul, Victor Feldman, Andrew Lloyd Webber and Sammy Cahn, Pagan offers a musical landscape that concentrates on beautiful ballads crafted in a classical tinge. 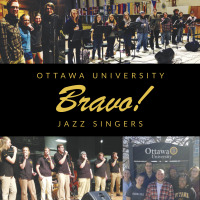 An extended rendition of the immortal "You Don't Know What Love Is"clocking in just short of eleven minutesnever becomes boring, showcasing the pianist's style and improvisational skills, as well as featuring a tasteful solo performance from Bowman. 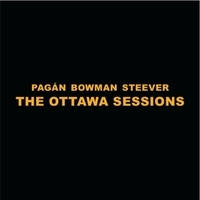 In an uncommon selection of music, Pagan transforms the Andrew Lloyd Webber/Tim Rice stage/movie theme "Gethsemane," from Jesus Christ Superstar, into a medium-tempo jazz ballad. The pianist alters the normally slow and somber "How Deep is the Ocean," giving it a livelier texture by using a four-bar measure in each chorus to quicken the pace with speedy finger play on the keys. Just as buoyant and assertive is the interpretation of "I Should Care," featuring some of Pagan's best piano chops. The mainstays of the album however, are the beautiful ballads, including Feldman's "Falling in Love," Pagan's original title track, the elegant "Atras da Potras," and pianist Enrico Pieranunzi's soft finale, "Persona." 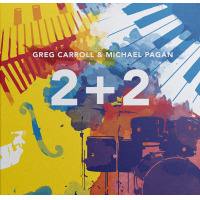 Technically creative and harmonically rich in melodic color, Pagan delivers one for all time on Three for the Agesa superior recording leaving little doubt that this pianist is a dynamic artist and musical force in today's jazz world. Track Listing: You Don't Know What Love Is; Gethsemane; How Deep is the Ocean; Falling in Love; I Should Care; Three for the Ages; Atras da Porta; The Best Thing for You; Persona. 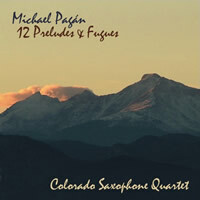 Personnel: Michael Pagan: piano; Bob Bowman: bass; Ray DeMarchi: drums.